The potential of open data is enormous. Much has been accomplished over the past few years, which has encouraged us to look back and reflect upon the knowledge that has been acquired to date. How can we measure and quantify what has been done and how can we use this information to plot the trajectory of open data? There is considerable rhetoric around this dynamic topic, which prompts the need for a deeper and more inclusive dialogue. Open data has the potential to be disruptive even as it offers positive outcomes. We recognize that there will be challenges, setbacks and curves to be experienced along the way. 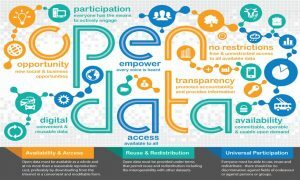 Without question, open data offers an exciting journey that will continue to influence and transform our world and the way we interact within a digital environment. The definition of open data that has been agreed upon within this field in enquiry, is data that can be freely used, shared and employed as a foundation upon which to build, by anyone for any purpose. The definition encompasses many aspects of information management such as quality of data: completeness, timeliness, the ease of electrical transferability, access, and machine readable. It also involves standards. One of the ideas we are looking at within Canada, is making sure that we can incorporate municipal, provincial and federal data seamlessly. The power of data comes with the ability to link data from different places, in different sections, in different ways. Which brings us back to standards, licensing, permissions. Questions like “who owns the data” are critical to our ongoing dialogue. 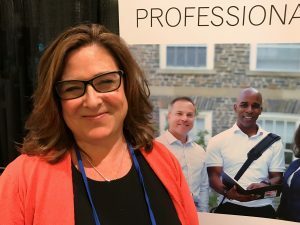 My goal is to demystify was is currently in place and look at ways in which we can measure and implement ongoing measurement tools to assess our progress so far and prepare for the next stage of the journey. For us to move forward with open data initiatives, we need in increase the overall data literacy, within our profession and within the public. As educators, SIM is creating a data literacy course at the undergraduate level to respond to this need. We need to recognize that this gap must be filled for us to fully enjoy the benefits and influence of open data. We live in a world that has the technological resources and capacity to amass data at an exponential rate. Working together, we have the opportunity to harness the power and potential of open data.